West Coast Hearing Clinic is committed to offering leading hearing health care at our two locations on Washington’s west coast. We take pride in providing our patients with the very latest in treatments and technologies. Our clinics are furnished with state-of-the-art equipment, and our top-notch audiology team is here to help you understand and care for your hearing health. We accept most insurances and workers’ compensation programs. Mark Scoones, AuD, is a board-certified audiologist as granted by the American Board of Audiology. He has served in many prestigious positions throughout his career. 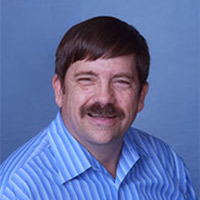 Dr. Scoones was a board member for the Audiology Foundation of America and was also on the Washington State Board of Hearing and Speech for seven years, where he spent time as a member of the educational committee. In this position, Dr. Scoones spearheaded the development and implementation of the two-year hearing instrument program for non-degreed audiologists as a licensing requirement for hearing instrument dispensers in Washington State. He worked as an adjunct professor at Central Michigan University for long-distance Doctor of Audiology capstone projects and was the recipient of the Distinguished Professional Award from the Washington Society of Audiology in 2001. Dr. Scoones is a retired Navy captain with 35 years of military service. In his last assignment before retirement, he served as the Commanding Officer of Operational Health Support Unit, Bremerton, a 425-person Navy Reserve Medical Unit encompassing 17 western states. Dr. Scoones was born and raised in Montana. When he’s not serving patients at one of West Coast Hearing Clinic’s two coastal locations, you can find him attending theater events, on the golf course, cycling, gardening or landscaping at home.